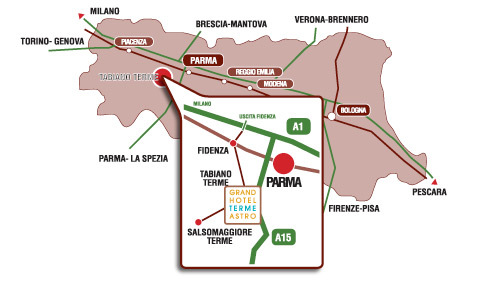 Parma’s Giuseppe Verdi airport is just 30 mins away. Milan’s Linate airport is just 60 mins away. Bologna’s G. Marconi airport is about 60 mins away. Tabiano is about 11 km from the turn-off. Every 30 minutes a light railway service runs from Fidenza to Salsomaggiore Terme. From here one can proceed to Tabiano by bus or taxi.